Ready, Set, Connect! (RSC) is our annual youth project. RSC has developed the skills of youth trainers who have helped more than 4,000 Oakland residents develop their digital skills. To complement this, RSC engages corporate mentors who provide workshops and site visits, increasing participants’ professional networks and inspiring them to enter the tech workforce. Below is a recent account of a trip to Adobe by RSC member Mauricio Mares. Our recent trip to Adobe in SF can be described in one phrase: creative productive. We met a panel of workers from different sectors of the company and learned their life stories, their goals, and how they got into the company. One of the Adobe employees talked about the benefit of working with the company being that it allowed her to be creative and also provide beneficial consumer products. Not only do they bring income to the company, they keep customers happy. I was inspired to look for opportunities in my own life that bring happiness and financial stability and allow me to connect with people in a meaningful way. Direct exposure to tech companies prepares us for the future. In addition to learning in a classroom setting, we are interacting with tech industry professionals in their workplace. 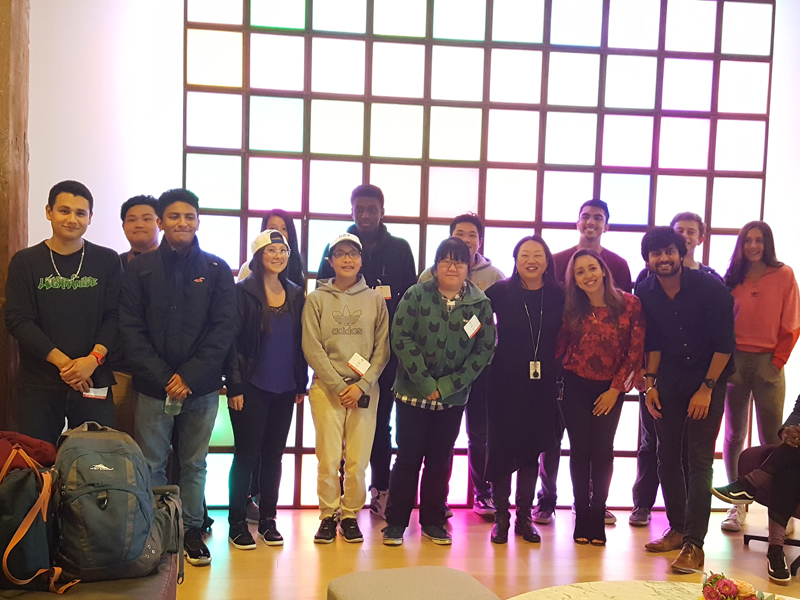 Just as important as the knowledge we gain in the classroom is the interaction with industry professionals at companies like Adobe who inspire us to continue in the field of technology. To learn more about Ready, Set, Connect! visit our website.